It’s been 2 months since I arrived in Oslo and I can proudly say I’ve completed my first Norwegian lesson block, which makes me a good A1 Norwegian speaker. I chose Norsktimen language school on Drammenveien and I highly recommend it as the teacher is very engaging, with a great sense of humour and I feel like I’m progressing quite well. It also seems to be the best value intensive course at 3960 Kr for 36 hours in a month, and it’s only 15 minutes walk from home, surrounded by beautiful embassies and conveniently on the 13 tram line a mere 10 min away from the city centre or what I call Chinatown (Brugata, where we often have lunch after class). Another funny one is the “du“. For German speakers, piece of cake: du = du = you. However, if you pronounce it “doooo” like the German “du” then it means toilets! This is the first thing my house neighbour taught me and I’ll never forget it! So how should one pronounce it? Like “dü” if you speak German or the French “u” like “tu”. Jeg snakker med ham: does NOT mean: I’m snacking on ham! Snakker = talk/speak and for some (obvious) reason, I always mix it with “Spiser” = eat…and “ham” is “him”! 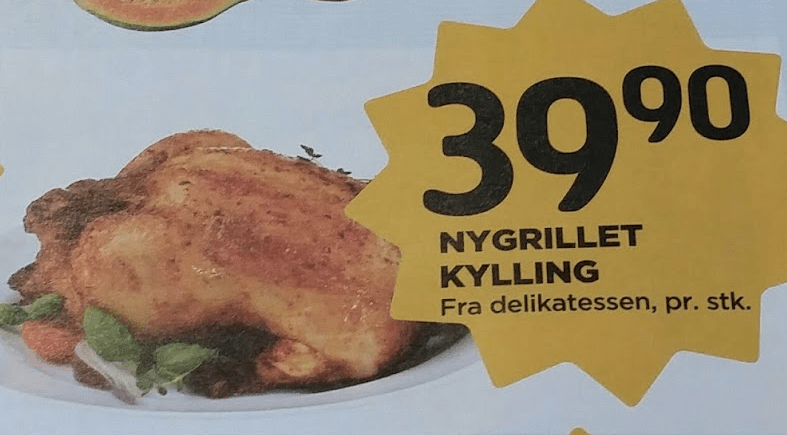 So how do you say “ham” in Norwegian? it’s “skinke” and as explained above the “sk” is pronounced with a light “shh” that makes it very close to German’s “schinken”! sjalu = jaloux = jealous, how typical! paraply = parapluie = umbrella, weird they didn’t keep it from the Brits, ah must be from our Bretons teehee! Unique words: KOSELIG (pronounce “cushly”) this one means something like cosy, comfy. Here’s a blog post perfectly explaining the concept behind Koselig, surprisingly well written by a French person tee hee! And my neighbour even explained the verb: “jeg kose deg” which is reflexive, a bit like: I’m enjoying myself doing something” and it could be by the fire but also at work or while having a hectic day…Guess it’s all about being positive and enjoying what life has to offer. This culture suits me. 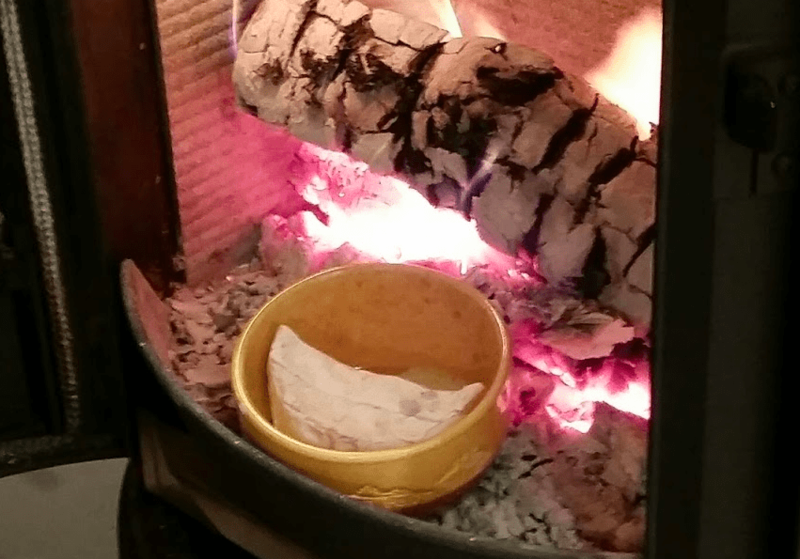 French koselig: Fondue normande = fire melted camembert to dip diced apples into… yum! And yes, I always end up talking about food somehow, LOL. How are my children learning Norwegian? That’s how I realise not every child was born equal towards learning a new language. My almost 7 year old son still hasn’t brought home many words. He doesn’t even like it when I ask him. Oh well. Looks like he’s colouring images of clothes which Norwegian name he has to repeat at Norwegian classes.. Looks like he’s singing in Norwegian too but as soon as he’s home, he doesn’t remember a thing, or he just doesn’t want to be nagged (“å mase” in Norwegian 😉 ). My 4 year old is doing great! I’ve been told he’s got a great ear. On day one he came back with a song sounding like “har deg jeg god morgen god morgen god morgen”. Day two was “Slapp av Alistar”. Then one day he said:”jordbaer” c’est fraise” (= strawberry. We speak French at home). He’s still in that sponge phase. Last year he was singing “Guten tag Guten tag sagen alle kinder” and picked up a fair bit from his billingual programme at the Lycee Francais de Zurich: 2.5 days in German and 2.5 days in French. On the other hand, the older brother was brought up with Vietnamese as his main language with me until he was 3. By 4 years old he was speaking both French and English but to a fairly low level so people could hardly understand what he was trying to say, in either language. His younger brother was quite good with his English between 2 and 3, especially his singing. Then he became very good at speaking French from the age of 3. In fact he just loves talking. I guess practice makes perfect! It’s confusing isn’t it? But you’ll get the hang of it in no time. A post about languages I can actually read and understand . Yay! That’s right Danish is very similar… written but I heard it’s very differently pronounced! Love the comparisons! I think we are all going to learn a lot from your blog. 🙂 We found that different kids were open to language practicing when we babysat in France. Sometimes the child knows what the answers are, but doesn’t feel secure in their pronunciation or something like that. I’m sure your kiddos will come along just fine! Keep up the great multi-cultural quest! I can’t imagine how hard Norwegian must be to learn, but they say the more languages you speak already the easier it is to pick up another. How many do you speak Thien Lan? Thanks for linking up to #AllAboutFrance and I love it that you’re staying connected with us from your new life in Norway even if this is a very tenuous link to the theme….!!! But I think good on you for pushing the boundaries, ha ha!